Autus client Airfrost Ltd continues to go from strength to strength with new projects lined up in Liverpool, Southport, St Helens and Warrington. Airfrost are a Lancashire-based company with clients all over the north west of England. Airfrost offer a design, installation and maintenance service for all air conditioning & refrigeration products. With 40 years in the industry and a strong record in concept to completion air conditioning systems, Airfrost clients can be found in every walk of life including shopping centres, schools, colleges & libraries, offices, workshop & factories, hospitals, hotels, bars and restaurants. Airfrost offer excellent servicing and maintenance arrangements, including F-Gas monitoring, for air conditioning systems from all the major manufacturers. They are also able to advise on replacements for R22 refrigerants. 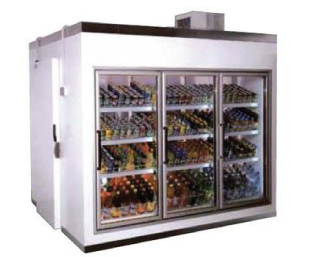 Airfrost are specialist in designing and installing cold rooms, cold stores and in creating close control temperature systems. Examples of recent projects include the development of temperature sensitive stores for blood banks and organ storage and the design and installation of underfloor air cooling for computer centres. For more information on all the refrigeration systems and storage units available from Airfrost check out the website at www.airfrost.co.uk or give them a call on 01704 840948.